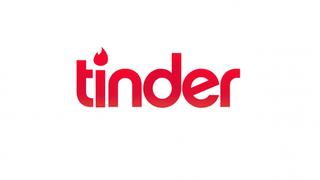 A New Zealand woman was gang raped after meeting a man through Tinder during a trip to Sydney. The 28-year-old woman was in town for business when she decided to meet up with the man she had found on the dating app. The two met at a restaurant and later went to a bar where, according to the Sydney Morning Herald, a group of the man's friends showed up. "Later on that night, the woman began to feel dizzy and numb, and lost her bearings," a NSW Police spokesman said. The woman said she later found herself at a property and had no idea where she was. A number of men then sexually assaulted her. Police say the woman was eventually able to leave the property on Sunday morning. She confided in her work colleagues who then informed police. After being treated at hospital on Monday, the woman gave a formal statement to police on Tuesday. The police are confident that they will find the attackers. Stories like this are one of the many reasons I'm terrified to show my face on Tinder, although that's obviously no justification for any of this and my aversion runs in many other directions. Detectives in Sydney are again warning people to be extra vigilant when meeting up with someone they've met online and suggest bringing a friend along for protection. The woman is now back home in New Zealand recovering. The woman has now withdrawn her statement about the attack.